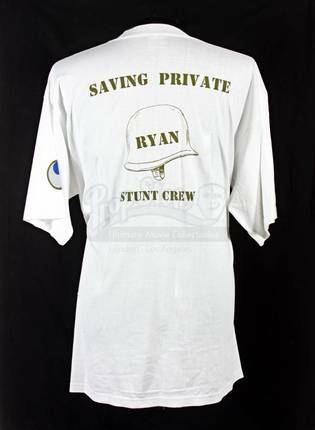 A stunt crew t-shirt from the Tom Hanks Oscar®-winning classic Saving Private Ryan. The white t-shirt has “Saving Private Ryan, ‘97” and “Stunt Partnership” printed on the front and “Saving Private Ryan, Stunt Crew” on the back. 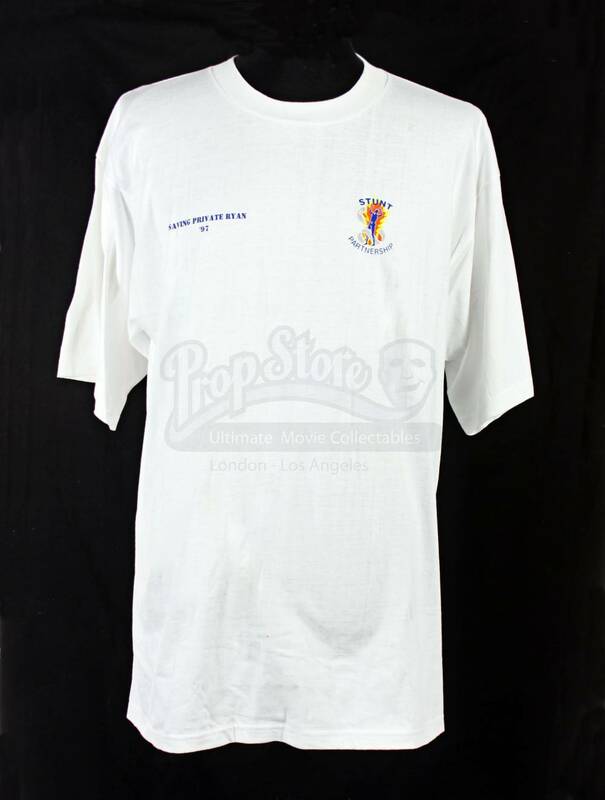 Sized as an XXL and in an unworn condition.